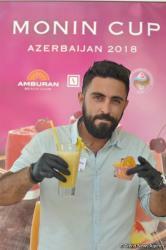 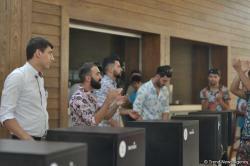 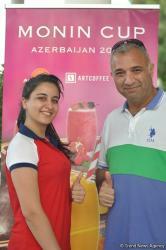 Amburan Beach Club hosted the national final of professional barmen competition Monin Cup 2018 Azerbaijan, organized by exclusive Art-kofe LLC with the support of the Association of Bartenders of Azerbaijan (ABA). 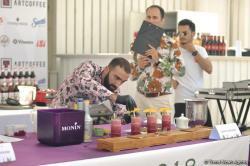 The competition was held in three stages. 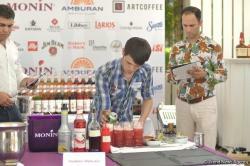 At the first stage bartenders presented an online application with an non-alcoholic cocktail, of which 15 were chosen. 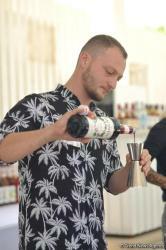 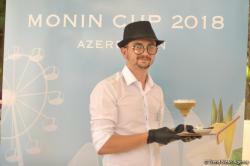 The bartenders who have passed selection have presented their original cocktails in the final. 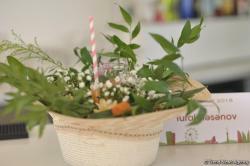 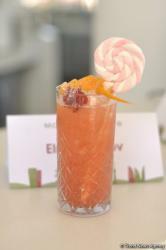 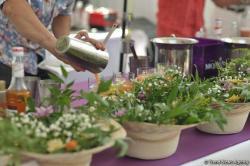 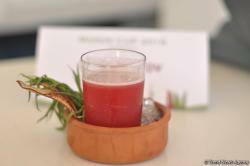 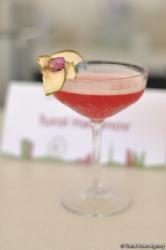 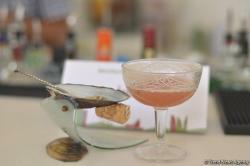 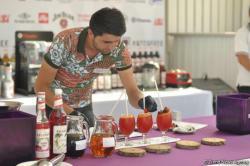 The cocktails were evaluated according to taste, technique of work and decor quality (garnish) by an authoritative international jury. 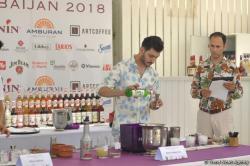 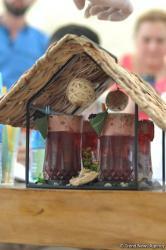 At the last stage, bartenders who scored more points - 6, made alcoholic cocktails from the ingredients presented by the organizers in a black box. 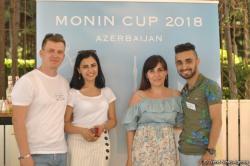 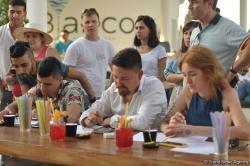 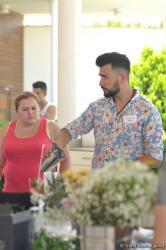 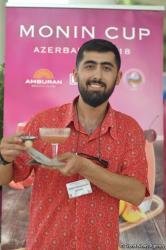 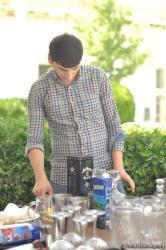 The jury included the President of Azerbaijan Bartender Association Murad Mammadov, business development manager in Monin drinks Nikita Sergeyev, brand-ambassador of Monin in Ukraine and Probar company Dasha Vershinina, winner of Monin Cup 2016 Azerbaijan Vagif Mammadov, representative of ABA Ali Ibrahimoglu. 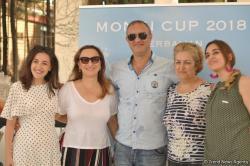 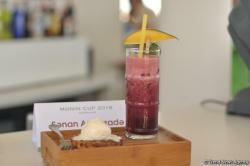 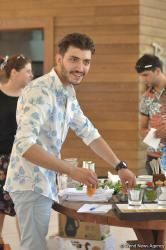 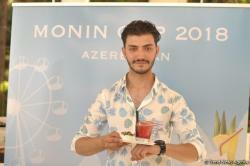 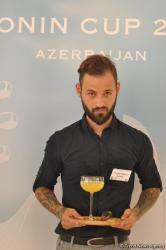 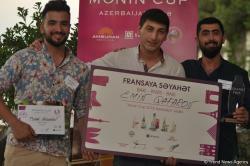 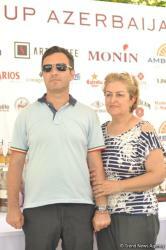 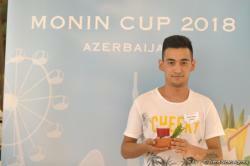 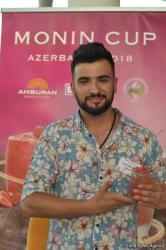 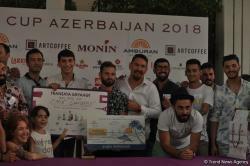 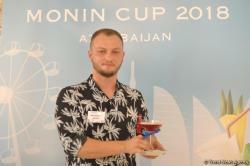 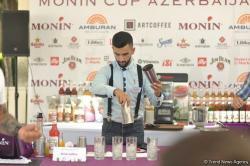 The winner of Monin Cup 2018 Azerbaijan was Emin Gafarov, representing the Madrid Bar. 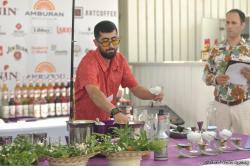 He prepared the cocktail using the shake method. 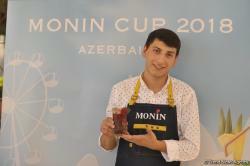 Emin will represent the country at Monin Cup World Final 2018 in Paris this December. 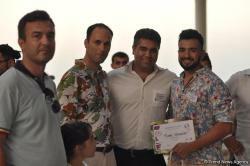 Also winners were awarded in various nominations. 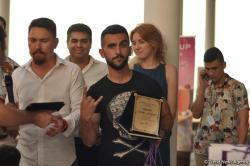 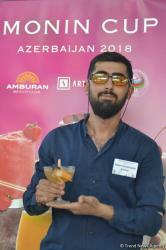 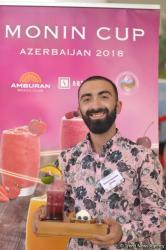 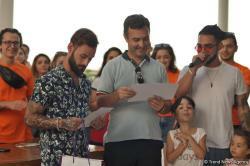 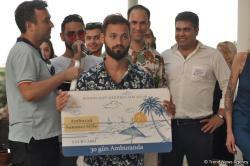 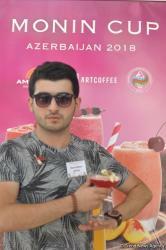 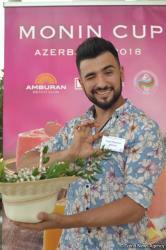 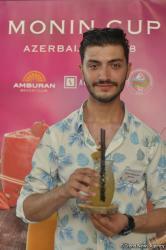 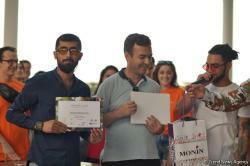 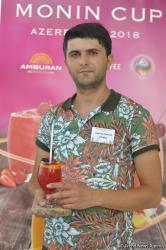 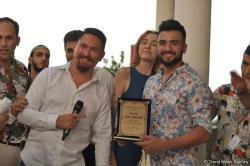 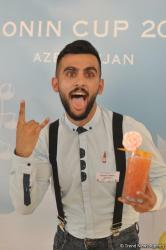 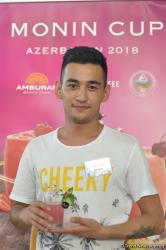 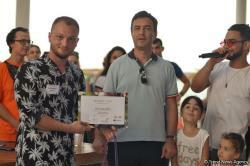 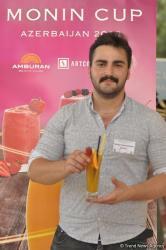 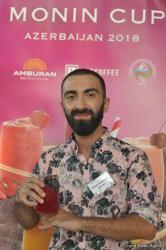 Orkhan Hasanov received a free monthly subscription to the Amburan Beach Club as a winner in the Amburan Summer Style nomination. 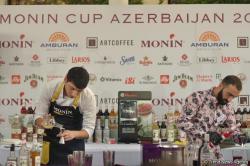 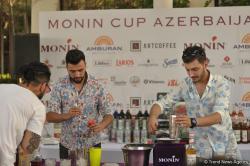 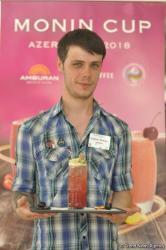 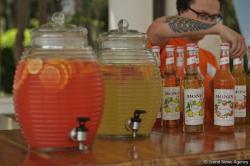 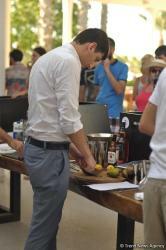 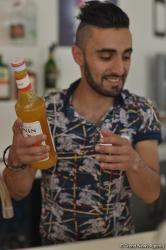 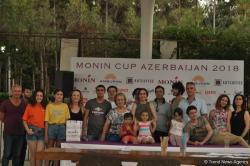 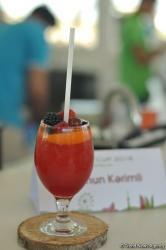 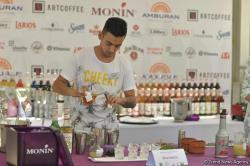 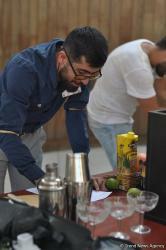 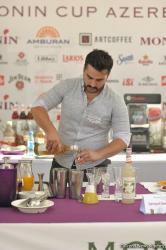 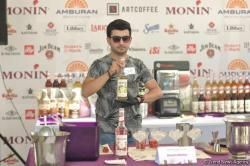 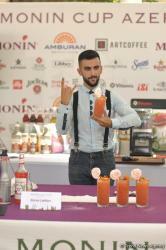 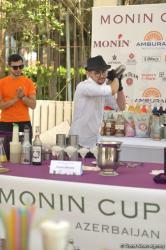 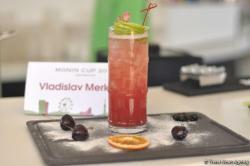 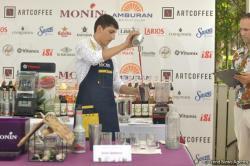 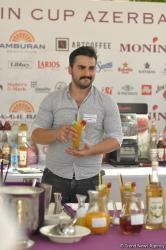 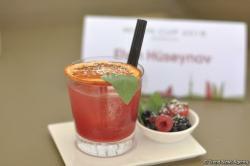 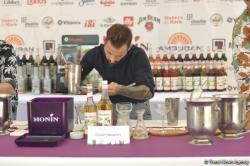 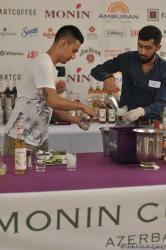 Monin Cup is a national and international competition for bartenders organized by Monin. 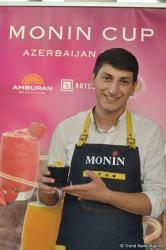 In Azerbaijan, the championship is held for the fourth time, starting in 2013. 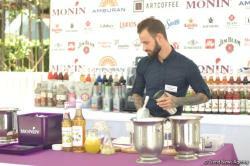 The aim is to give young bartenders the opportunity to enter a professional competition. 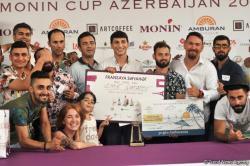 Art-kofe LLC has been the exclusive distributor of Monin products in Azerbaijan since 2007, and also delivers Illy coffee, La Marzocco coffee machines and other equipment, ingredients for restaurants and cafes.